Schedule based call routing is a tool used by Hunt Groups, Auto Attendants, and Call Center Queues to flow the calls to another extension or action during certain scheduled times. Schedules are found in the Schedules section of Enterprise Services within the CAP. You may have any number of schedules but they each must have a unique name. Schedules built as Global Schedules can be accessed by any service, regardless of location. Events are added one at a time, and scheduled individually. At the bottom, enter the start and end time for the event (in the example, we are scheduling the time before the office opens, so midnight AM to eight AM). Note these times are in 24 hour format. Use Scheduled Call Routing in the Hunt Groups and Call Center Queues to select the schedule you made. 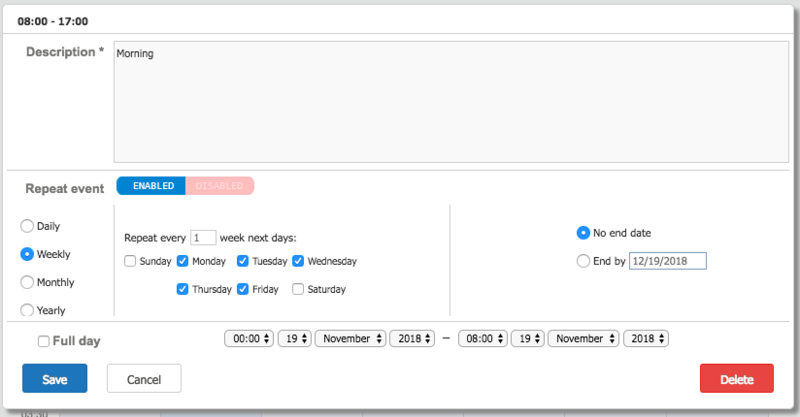 For Auto Attendants, the schedule selected will determine which menu is used.